Senior Advocate Indira Jaising has raised questions over the transfer of Chief Justice of Uttarakhand KM Joseph. In a series of tweets Jainsing raised concerns over the transfer and even cited the incident of the transfer of Justice Rajeev Shakdar of the Delhi High Court who had authored the Priya Pillai judgement. Senior Advocate Indira Jaising has raised questions over the controversial transfer of Chief Justice of Uttarakhand KM Joseph who wrote the Judgement quashing President's rule in Uttarakhand. In a series of tweets Jainsing raised concerns over the transfer and even cited the incident of the transfer of Justice Rajeev Shakdar of the Delhi High Court who had authored the Priya Pillai judgement. “Death of independence of the judiciary. Justice Mathew (after his father K.K. Mathew, a famous Supreme Court judge) who authored the Uttarakhand judgement transferred to Andhra. What is the explanation for this?” Jaising asked. “Was our faith in the judiciary misplaced? Why are the judges who write judgements against the government at the Centre being transferred? Death of independence of judiciary Justice Mathew who authored the Uttaranchal Judgement transferred to AP,what is the explanation for this? Was our faith in the judiciary misplaced? Why are judges who write judgements against the government at the Center being transferred? Justice Katju responded to these tweets saying: “In these two transfers the government had no role at all. I have made thorough enquiries. It was not politically motivated.” He also chided Kejriwal for espousing such views. 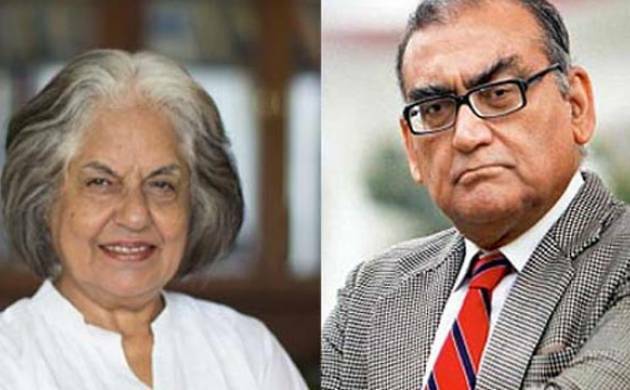 However, former Supreme Court judge Markandey Katju said that there was nothing wrong in the transfer. According to him, the transfer was due to “health reasons” and was not in any way “politically motivated”. “The transfer was not because of some judicial order he passed. It was because of health reasons. Nainital, where the Uttaranchal High Court is situated, is at a height of 6000 ft. Ever since he came to Uttarakhand in July 2014 Justice Joseph has been having health problems, probably because of his heart condition,” Justice Katju said in his blog. “The transfer, on the recommendation of the Supreme Court Collegium, was for this reason. It was not politically motivated,” Justice Katju claimed.